It’s been a long time since our last Streets World Roundup so we won’t be able to catch you up with all the murals we have been enjoying the last year or so. We can however share what caught our eye in June though. Up top we have a mural from Eduardo Kobra in Carrara, Italy with a very unique placement. 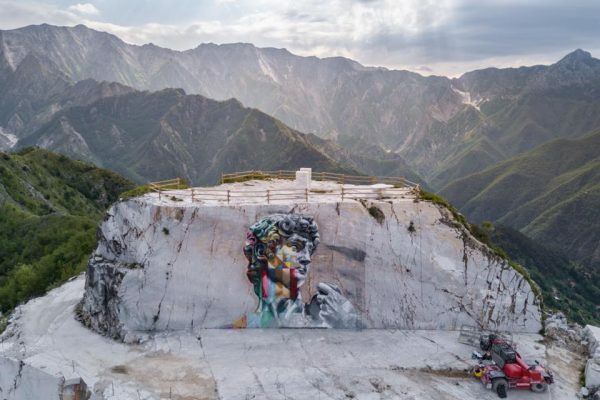 Painted in the famous Carrara quarry where Michelangelo and so many other renowned Italian artists sought marble for their works, the new 12 x 20 meter piece from the Brazilian artist is very meta with Michelangelo’s David as the subject. 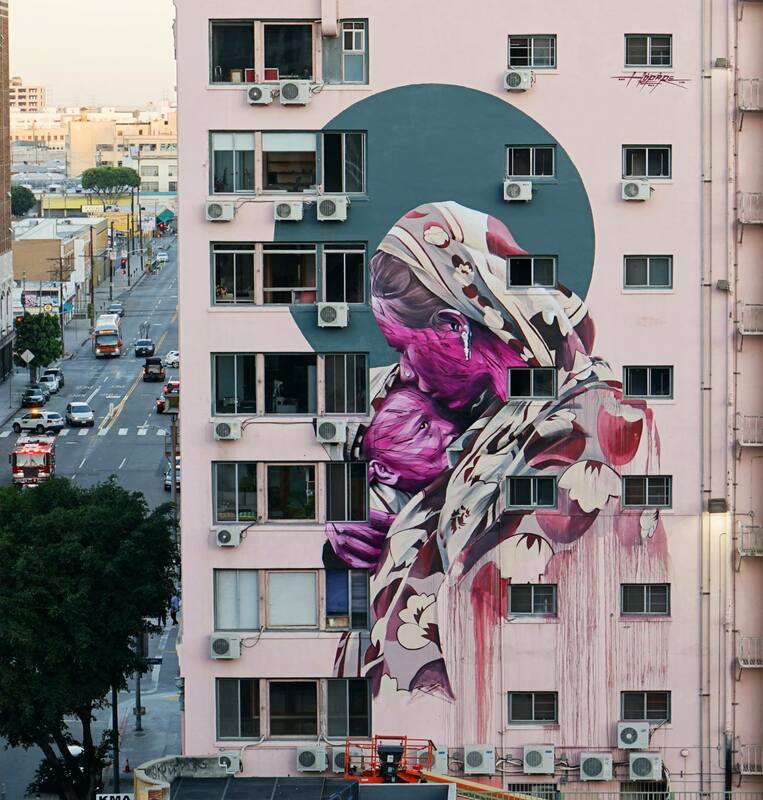 Other notable public works come from Hopare (US), Etam Cru (Sweden), Bezt from Etam Cru (US), Dan Witz (New York), Leon Keer & Massina (Portugal), Nychos (US), Sabek (US), Tellas (Australia), 1010 (Canada), Shepard Fairey (Australia), and Cinta Vidal (Spain). 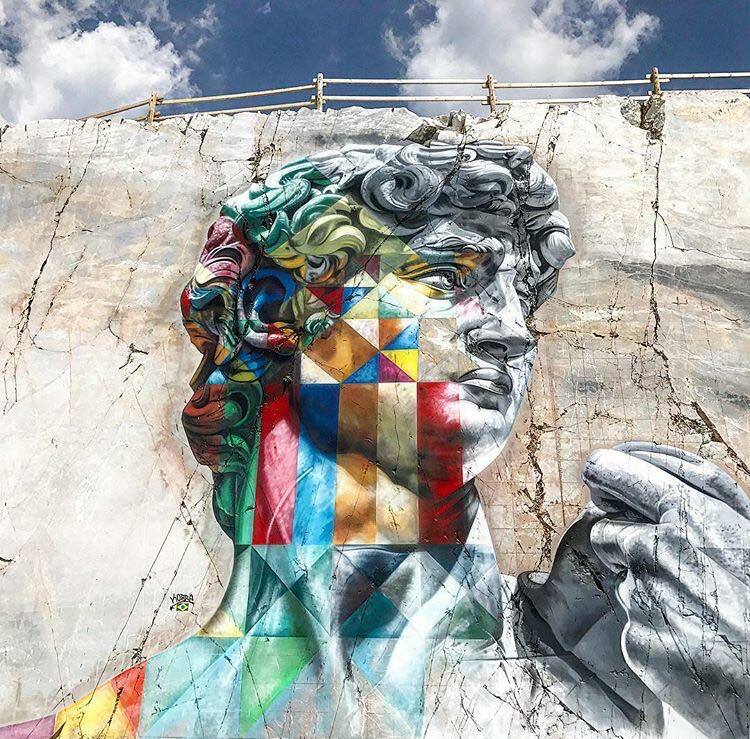 Detail of the Eduardo Kobra mural in Carrara, Italy. 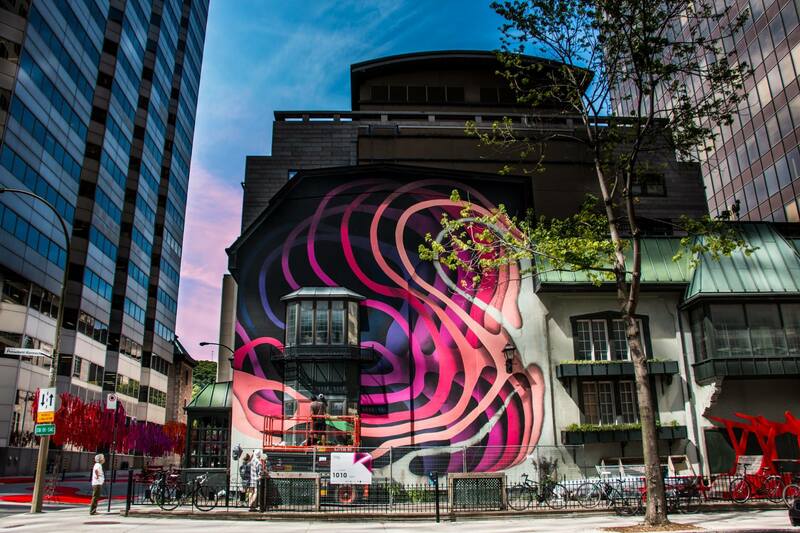 Hopare in Los Angeles for Avenue des Arts. 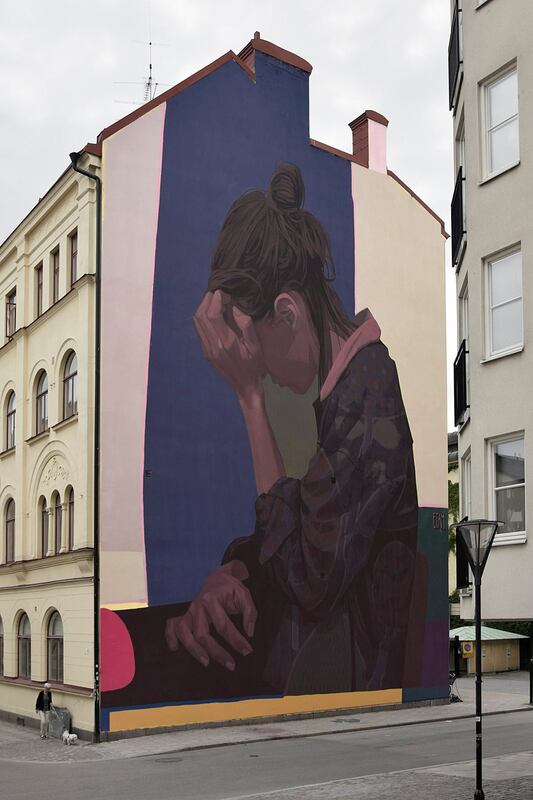 Etam Cru in Orebro, Sweden. Organized by OpenArt. 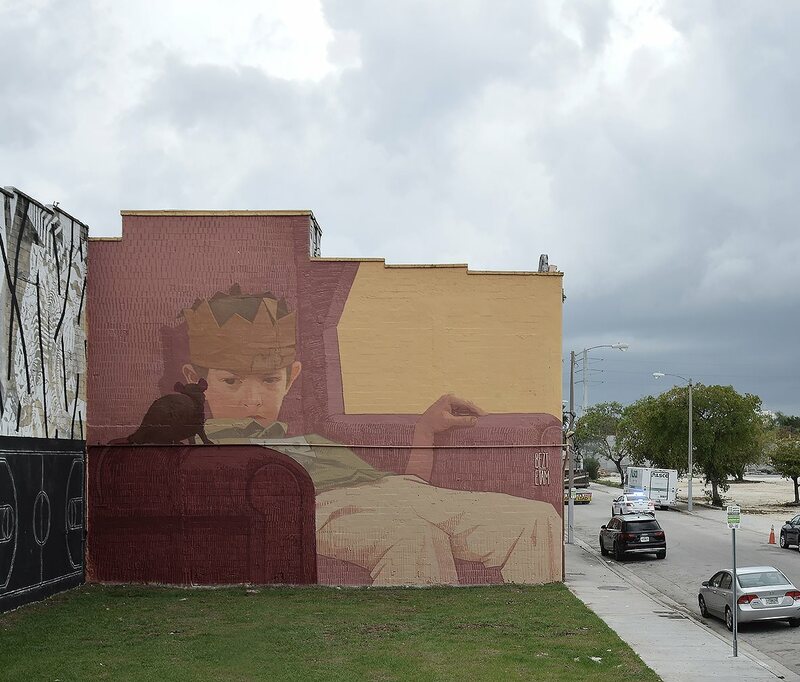 Bezt from Etam Cru – “Beggars and Kings” in Miami. Curated by Inoperable. 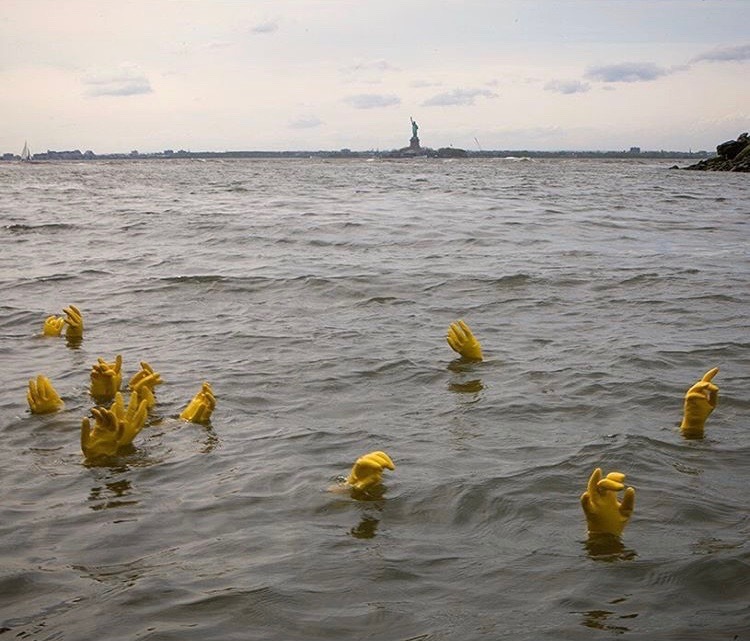 Dan Witz in Red Hook, New York. Leon Keer & Massina in Bragança, Portugal for Sm’arte Festival. 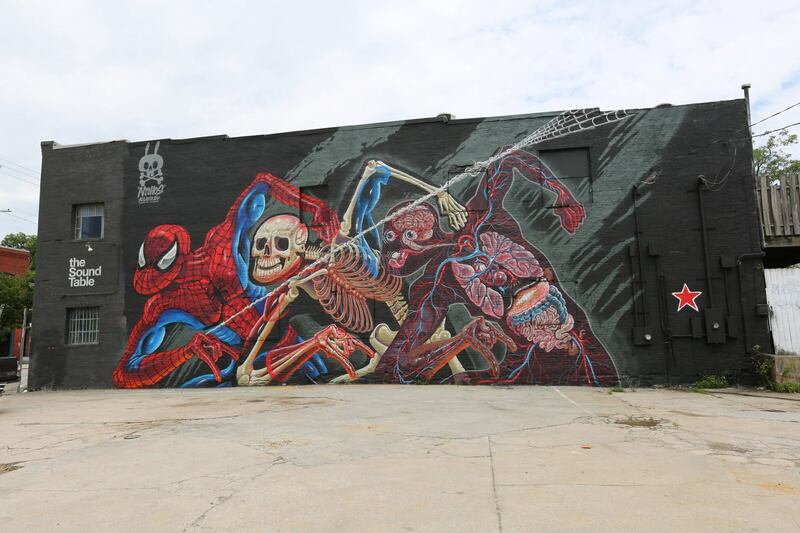 Nychos – “Anatomy of Spiderman” in Atlanta, Georgia for Outta Space Project 2017. 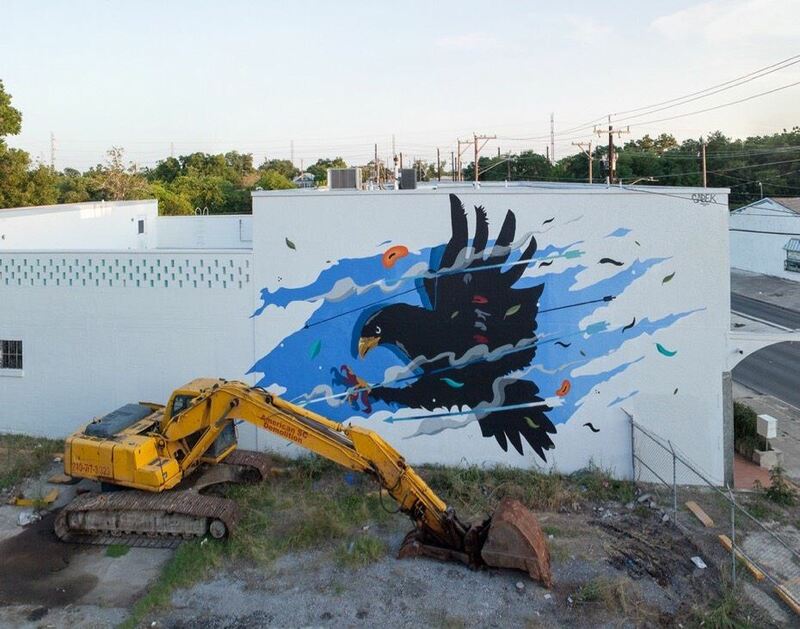 Sabek – “Aquila Rebellion” in San Antonio, Texas. For the Luminaria: Contemporary Arts Festival. 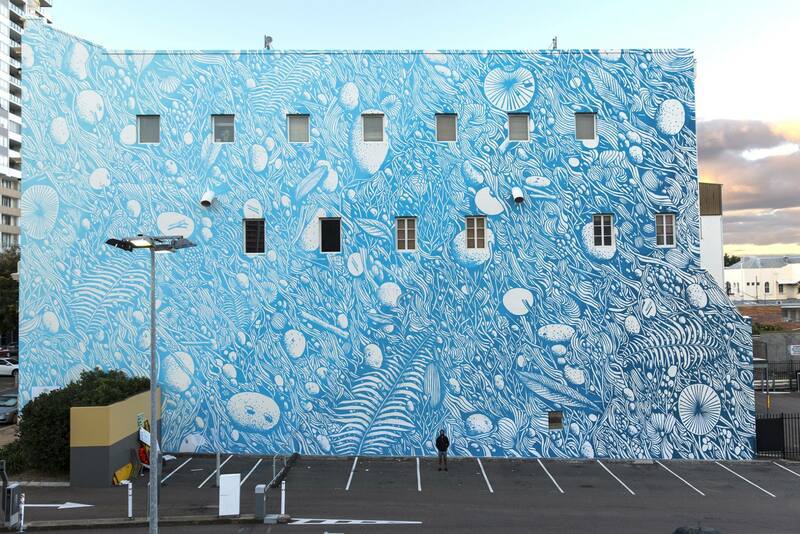 1010 in Montreal, Canada for MURALfestival. 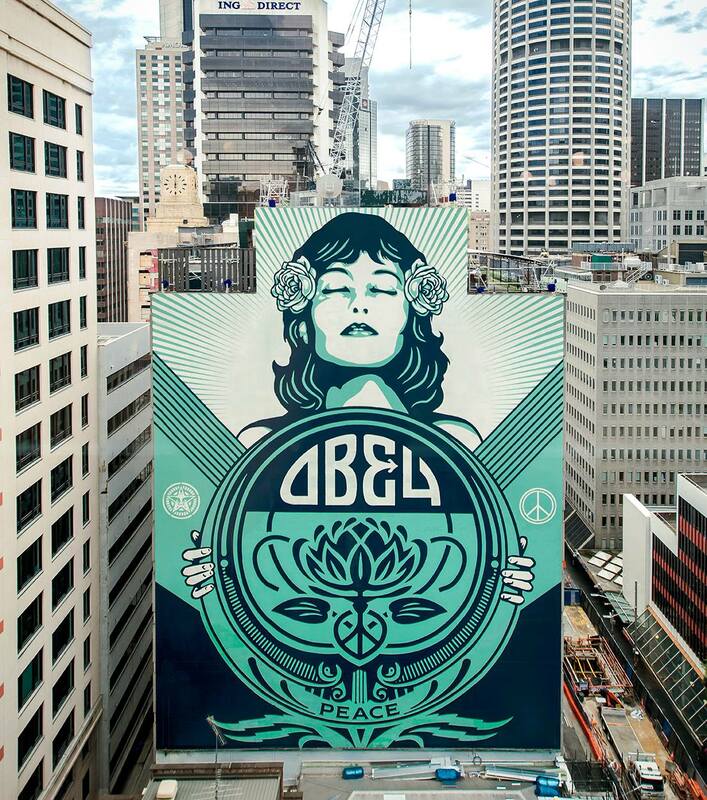 Shepard Fairey – “Peace Waratah” in Sydney Australia. Photo by Jon Furlong. 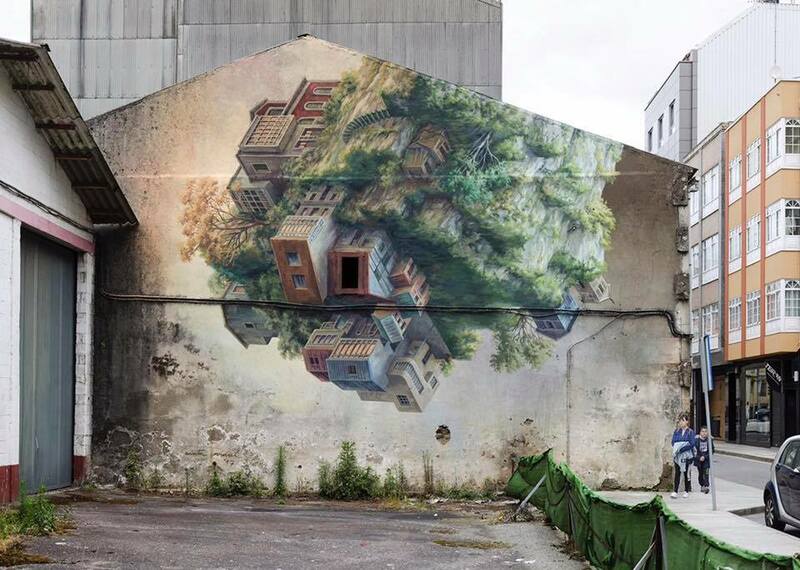 Cinta Vidal – “Costa da morte” in Carballo, Galicia (Spain) for RexeneraFest. Categories: Features, Seen on Streets, Street & Urban Art, Streets World Roundup. 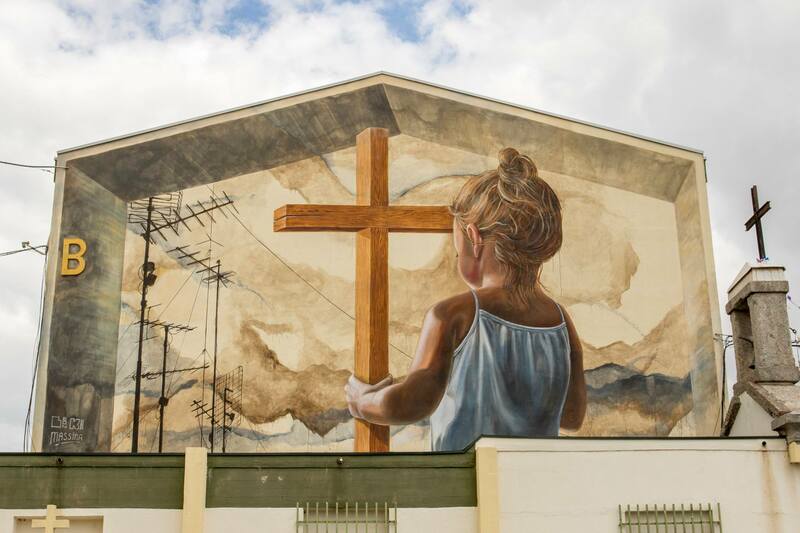 Tags: 1010, Bezt, Cinta Vidal, Dan Witz, Eduardo Kobra, Etam Cru, featured, Features, Hopare, Leon Keer, Massina, Nychos, Sabek, Seen on Streets, Shepard Fairey, slider-featured, Street & Urban Art, Streets World Roundup, Tellas.